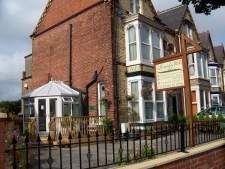 Lincoln House, built c.1892, offers en suite double and twin rooms all fully equipped with all you would expect from a 4* B&B. A tranquil walled garden available for relaxation, as is our beautiful conservatory. Centrally located being only a short walk from town centre, beach, harbour, theatres, bus and rail station.